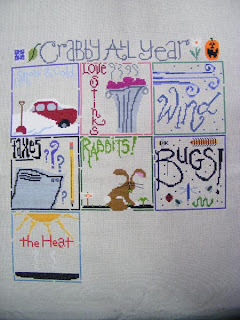 I finally got around to finishing the July block of Raise the Roof's "Crabby All Year". 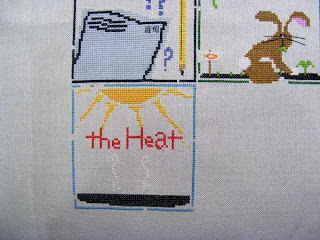 I started the piece last January with the intention to finish each block in its corresponding month. I fell behind in April because the big field of grey on the tax-sheet was driving me insane. I tried to catch up again, but ended up giving up putting it away for a while. Finishing it is one of my goals for this year. Just five months left to go and all twelve months worth of buttons to add. I can't wait for that part. The buttons are extremely cute! 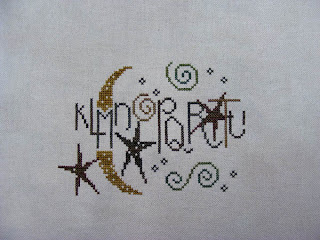 Another four hours into "Swirly Sampler" has added the letters P-Q-R-S(tar)-T-U and some swirlies.There is actually an S-shaped "Swirly Star" charm that's supposed to go attach over the star but I'm having trouble finding it. It didn't come with the pattern and I can't seem to locate it online. I'll have to inquire about it next time I'm at my LNS. Here she is after 23 hours. 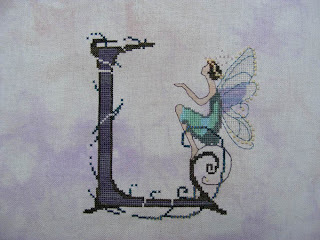 I've finished all of the stitching and about 1/4 of the beading. This little girl has a TON of beads! 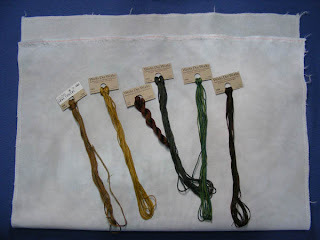 Five hours into Bent Creek's "Swirly Sampler". 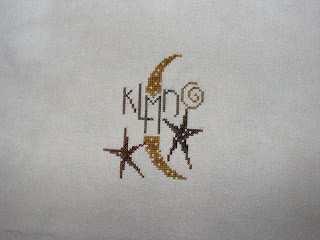 We have a moon, two stars, and the letters K-L-M-N-O. I picked up this pattern today from The Strawberry Sampler while I was out running errands. 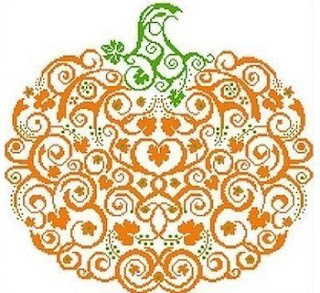 I'm a sucker for pumpkin designs! Posted by Lyndsey at 6:32 PM Labels: s.e.x.